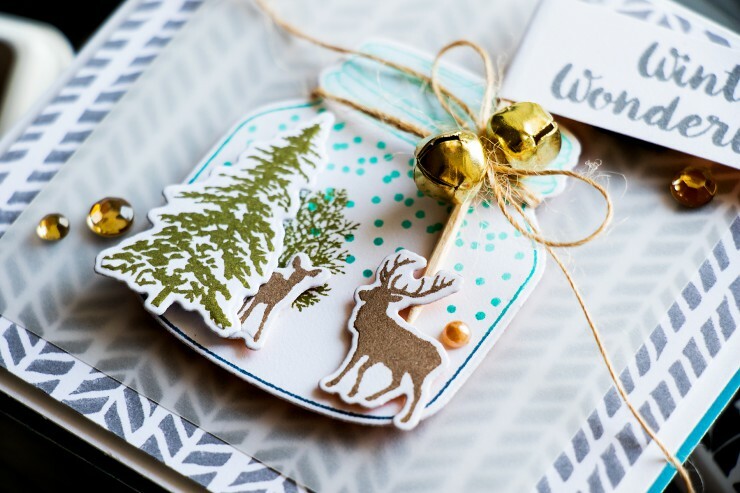 Its a (stamped) winter wonderland! Okay, maybe not quite yet Winter Wonderland (especially when its 108 degrees outside lol! 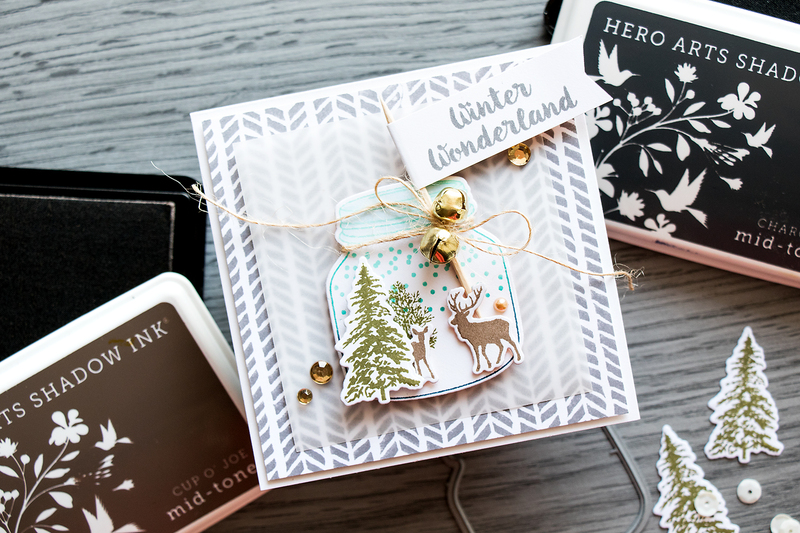 ), but who can resist stamping the cutest winter scene in a jar? 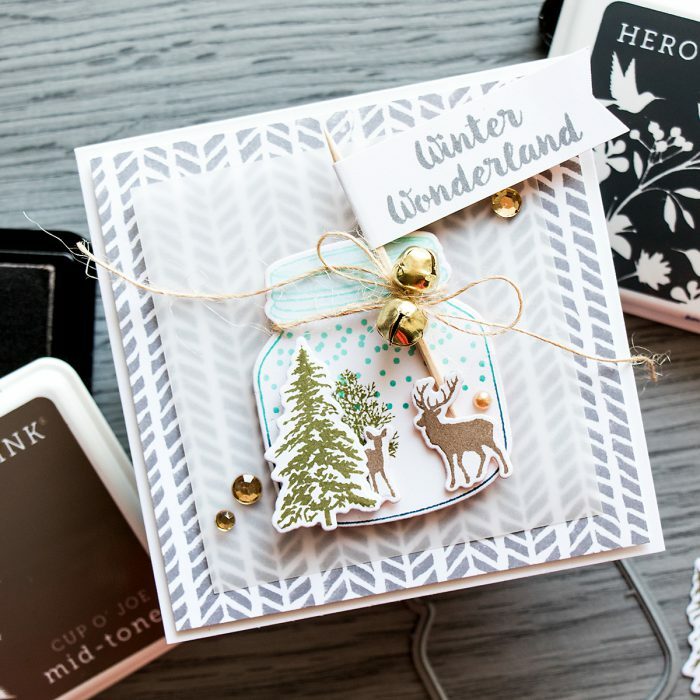 The Winter Scene stamp set from Hero Arts has honestly stolen my heart! 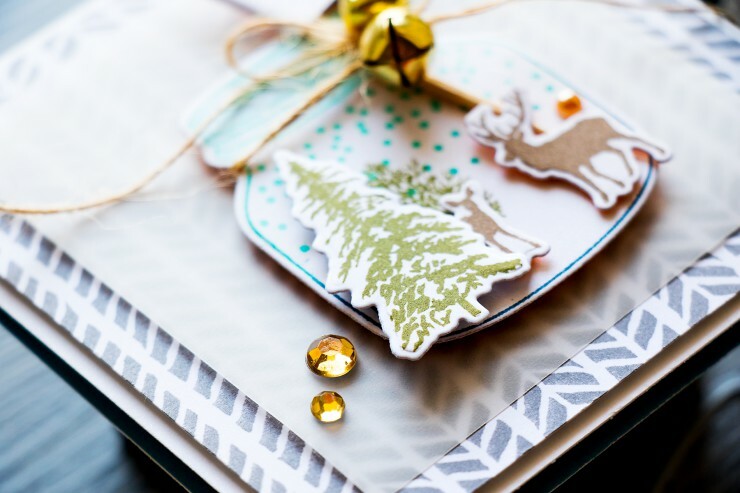 Little fur trees and little animals – oh my! I started working on this card by stamping a background using Irregular Arrow bold print background stamp in Charcoal ink onto Hero Arts Snow White paper. Next I stamped and cut a jar out, I used pool to navy ombre ink to stamp the jar and the falling snow inside of it. I foam mounted the die cut jar onto a piece of vellum and adhered that onto my stamped background. I needed to add that layer of vellum to mute the background around the jar and help it stand out a little bit. I also stamped and cut several trees and animals using Cup Of Joe and Forever Green ink colors and foam mounted those pieces onto my jar. 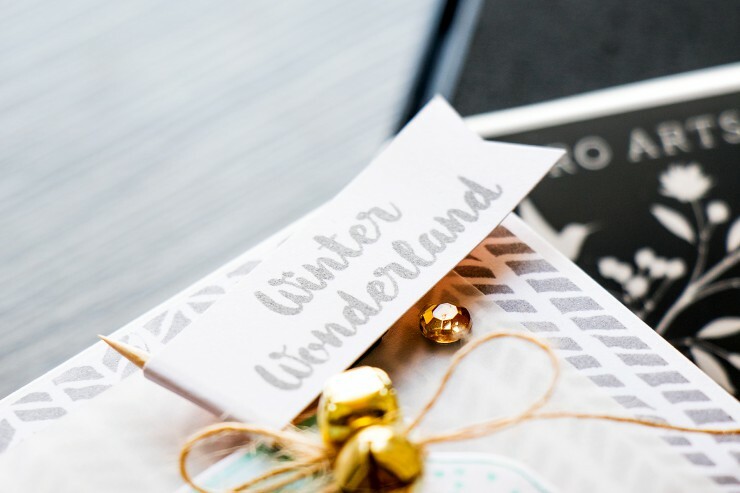 Lastly I created a small banner with a Winter Wonderland sentiment (I used a tooth pick to hold the sentiment) and tied that onto my jar with the help of natural twine, I also added 2 gold jingle bells and embellished this card with a pearl and a few gems. Absolutely LOVE this, Yana!! You really made this set shine. And your photographs are just beautiful. Yana, that is so beautiful, i am even speechless!!! Very pretty, Yana! I love all the wonderful details! thank you so much much, Mariana!